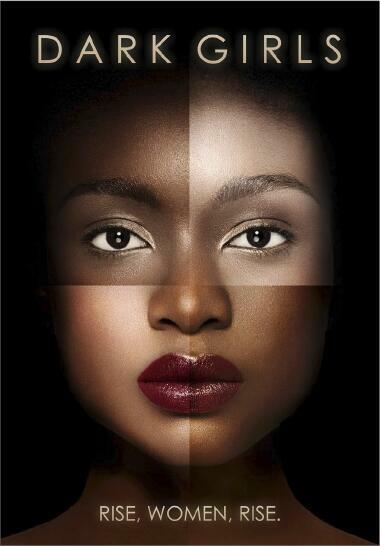 'Dark Girls' is a documentary by acclaimed actor, film maker Bill Duke. It has been making the festival rounds since it's debut in 2011 (you may recall we showed a trailer on this site for it). There was some speculation that the film would get a theatrical debut, but that never happened. And so, I was left to think I would never get the opportunity to see the film. Well thank God for Oprah Winfrey because she is going to premiere the documentary on her OWN network next month (June). Yippee! It appears that the film maker is not content with just exploring colorism from the dark skinned sista's point of view, but he's going to do a sequel for the sistas of a lighter complexion entitled, Yellow Brick Road. It was a year ago when Bull Duke announced that he was developing 2 feature documentary follow-ups to Dark Girls, after a screening of that film at the Pan African Film Festival in 2012, which I attended. Sharing with the audience during a Q&A after the screening, Duke said that the two follow-up films would include: Yellow Brick Road, which will look at the *colorism* issue from the fairer-skinned black woman's point of view (Dark Girls was from the darker-skinned black woman's POV); and the other would be titled What Is A Man, which will explore what masculinity and manhood is, from the beginning of humanity to the present. He's been filming What Is A Man with the assistance of New York Film Academy students in Los Angeles, this year, adding that the film will explore what it means to be a man, physically, biologically, and sociologically. As of our last report in February, students had already begun shooting interviews with men all over the world, from countries in Europe, to Asia, and America, with more to come, including interviews with comedians, religious figures, and celebrities. No word yet on when we can expect What Is A Man, but I'd assume in the next 12 months. And also no word on what was to be part 2 of this trilogy, Yellow Brick Road.